A guide to the history behind the world of Harry Potter--just in time for the last Harry Potter movie, Harry Potter and the Deathly Hallows (Part II)Harry Potter lives in a world that is both magical and historical. Hogwarts pupils ride an old-fashioned steam train to school, notes are taken on parchment with quill pens, and Muggle legends come to life in the form of werewolves, witches, and magical spells. This book is the first to explore the real history in which Harry's world is rooted.Did you know that bezoars and mandrakes were fashionable luxury items for centuries? Find out how Europeans first developed the potions, spells, and charms taught at Hogwarts, from Avada Kedavra to love charms. 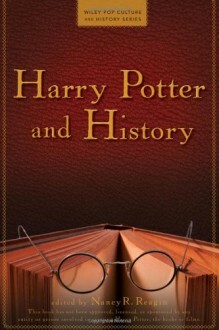 Learn how the European prosecution of witches led to the Statute of Secrecy, meet the real Nicholas Flamel, see how the Malfoys stack up against Muggle English aristocrats, and compare the history of the wizarding world to real-life history.Gives you the historical backdrop to Harry Potter's worldCovers topics ranging from how real British boarding schools compare to Hogwarts to how parchment, quills, and scrolls used in the wizarding world were madeIncludes a timeline comparing the history of the wizarding world to Muggle "real" historyFilled with fascinating facts and background, Harry Potter and History is an essential companion for every Harry Potter fan. Mixed-quality, variety of authors, worth reading once, not more.